We have entered a new chapter in our lives with a NEW DIAGNOSIS over Keller's life. A couple weeks ago we had a follow-up appointment with Keller's pediatric neurologist who diagnosed him on the autism spectrum in 2014. We initiated the meeting because we felt that it was time to talk with her about Keller's diagnosis as it had become clear to us and his other therapists and community that he had truly lost all his symptoms. This appointment put me in a very tender and emotional state. I was sure of what I had seen in Keller's life and deeply certain of the incredible and miraculous strides he had made since his diagnosis, but I also trust this expert and her opinion and wisdom into Keller's life. Without her concrete diagnosis on Keller's life when he was 22 months we would NEVER be where we are today. She sat at that first appointment and even before she had written up a full assessment she knew unequivocally that he was on the autism spectrum. She left no doubt or questioning in our minds when we left her office and her certainty helped launch us into our new mission with Keller. However, as much as we are eternally grateful for this doctor, being on the doorstep of meeting with her again made me feel like my own fate was in her hands once more. I felt vulnerable and extremely emotional the entire day leading up to the appointment. 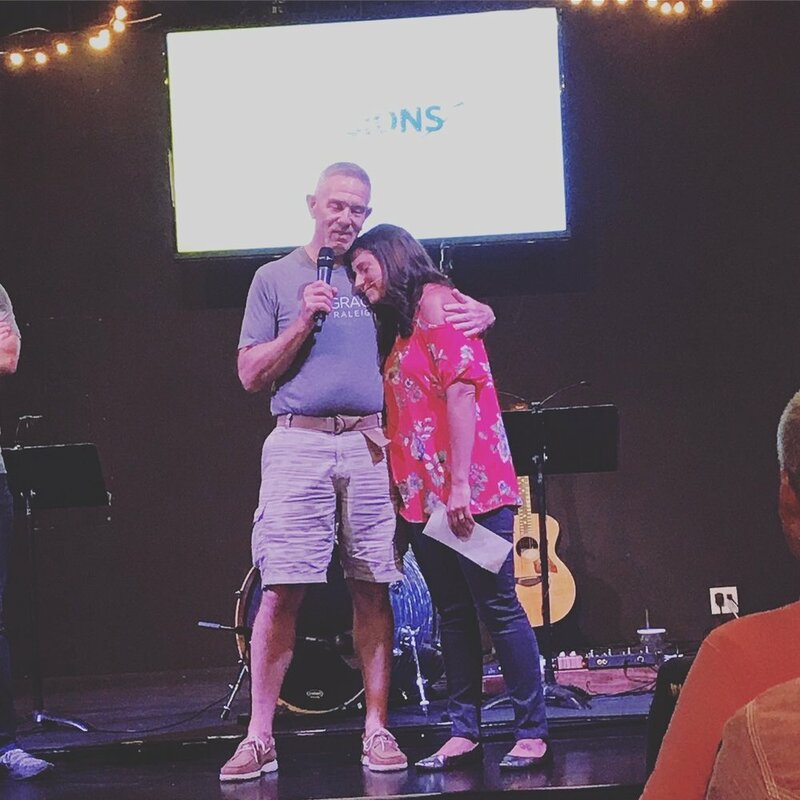 There are times still in our journey with Keller when a wave of emotion, grief, or fear will wash over me about his life and I feel again like I might drown without the anchor of God to hold me in the storm. We are blessed to have an incredibly supportive community around us and so some of our closest friends prayed with me during that day as we anticipated the appointment. At last the appointment arrived. Casey was confident, Keller was clueless and happy (as usual) and I was an emotional wreck. Quickly in our conversation Dr. Schleigal asked why we were there and we told her about our desire for her to assess Keller's progress. She asked Keller some questions and we continued to chat and then she said "Well he is obviously NOT on the spectrum!" This sentence that just rolled of her tongue has absolutely has changed our lives. Our son Keller does NOT have autism anymore. Keller is NOT on the autism spectrum. The new diagnosis is that we have NO DIAGNOSIS. We just have a happy and full-of-life little boy. This was what we had always hoped for but also were scared to dream of. A couple years ago Casey and Kieren started praying every night that Keller would lose his diagnosis, but it was too scary and vulnerable for me to pray. For me, God was still GOOD even if Keller never lost his diagnosis. I didn't NEED that miracle, I just needed God in the midst of whatever our story was supposed to be. But over the last year it has become glaringly clear that Keller does not have autism, and to let myself even begin to accept that has been huge. But this appointment, this day with our doctor, was the confirmation of it all. And it has been so good. Honestly, it still feels unreal when I think that I DON'T have a son with special needs now. It became a part of our identity as a family, not just for Keller, so it's strange that the term no longer applies. We now look ahead to our future and dream with new lenses for Keller. So much is possible, so much is tangible, so much is even beginning to happen now. We have a new diagnosis of a son WITHOUT autism and our lives ahead look rich with promise and potential. Some days life, family, ministry is BIG and FULL and feels so significant. Other days it's unseen and small and tedious. This is life and it's both grand and ordinary. But this life is also our gift to GOD and how we treat both the grand and the ordinary says something about how we worship this God. Luke 16:10 says, "If you are faithful in little things, you will be faithful in large ones. But if you are dishonest in little things, you won't be honest with greater responsibilities." This scripture isn't just about money but it's really EVERYTHING in our lives, because everything we have is a gift from God and we must be faithful in what we have been given. Lately I have noticed that my life is SUCH a gift and the places God has allowed me to be in ministry are SUCH A GIFT. I feel like things are growing and evolving and I just want to honor God in it all and be faithful with what I have been given. GOD help me be faithful!! There is a little boy in our road named Logan. EVERYONE knows Logan. Logan comes to our front door EVERY. SINGLE. DAY. He is looking mostly for Keller, but he is just looking for attention, love, someone to listen to his stories. My time daily talking to Logan is very little but in God's eyes it's also VERY BIG. God wants us to be faithful in the huge moments but also, and maybe especially, in the little moments with Logan. God has just moved in my heart to tell me that He sees how I am sewing into the big things and especially into the little things. Our hearts are not most revealed when we work hard at the big things that everyone sees and notices, but our hearts are truly known when we give everything in the little, the things no one will see or ever hear about. It's GOD that we are doing this all for and HE is the audience. Serve with beauty and boldness in the LITTLE. New friends of ours showed up at Keller's 6th birthday party this weekend with their son, and the dad took a look around the kitchen and said, "WHOA, you went BIG!" It was just a passing comment to him but really struck me as I glanced around our decorated kitchen. Ummm, yes it seems that after HOURS of party preparation for Keller's superhero party, we had in fact gone REALLY BIG. There were decorations, games, themes, food, banners, and more. It was SUPER BIG. I thought later about that comment made by the father about us going BIG because I hadn't realized it before. We always love celebrating birthdays in our home and as a family love putting together a party, but this one had gotten pretty extreme. What happened that made it so BIG? 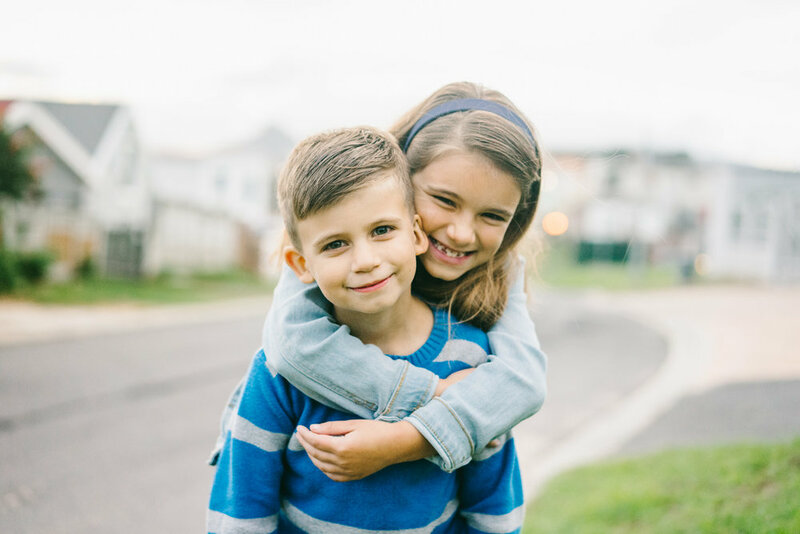 A quick reflection easily revealed that my heart is overflowing with thankfulness and celebration as Keller has recently lost his autism diagnosis. There seems to be SO MUCH to celebrate. Keller's early birthday parties were only a few people, and even that seemed to completely overwhelm his little head and heart. As the years have gone on we have added people to his parties and they have become more big and boisterous. But this year we have been planning his birthday party for MONTHS and he has been filled with eager anticipation for it. He loves his friends, he loves a party, and he loves to celebrate. We were all looking forward to it. But maybe I was the one most looking forward to it. To gather a big group of people and have a ruckus and rowdy celebration for my son is a true gift and one that I don't take lightly. My son, who use to have autism and would literally SCREAM if anyone walked into our living room, now planned an entire party (and dinner that followed) for the people he loved and relished in every moment. Truly, he soaked up all the love, attention and friendship of every single person that was there. So yes. I went BIG. I went REALLY BIG. I made too many decorations and I made the whole family dress up like superheroes and I bought WAY too much food and the whole thing was super over the top. I went BIG. But for my miracle boy I absolutely love BIG and celebrating all that God has done in his life. Happy birthday dear Keller. For you, my son, we go BIG! Thousands of women and I attended the Hillsong Colour Conference this past week in Cape Town, South Africa. God certainly did spectacular things there and exceeded all expectations. But what truly made my heart sour was nothing related to the production, world-class speakers, or epic and memorable moments from the stage. This was my seventh Colour conference to attend, and as usual I had the beautiful privilege of hosting women from Ocean View for the stunning event. Since it is a world-class conference it would be something out of reach for most of the families of Ocean View that support themselves and so many other around them. Year after year, Hillsong Church has graciously sponsored a group from Ocean View so they woudn't miss out on the appointment with God. Not only does Hillsong help sponsor our tickets, but they also provide transport, welcome the ladies as if they were royalty, and feed and personally host us throughout the entire conference. They truly go above and beyond and it makes us feel like the most exclusive guests at the conference. During one of the sessions where we were hearing about the incredible and inspiring work of people around the world for the kingdom of God, I sat listening with my Ocean View sisters and was overcome with emotion. I don't have to travel around the world to see brave and sacrificial work done by the people of God, I only need to look to my sisters in Ocean View. These women serve and love in ways that I could never imagine and each have a story of life in Christ that moves me. They inspire me greatly and I found myself deeply grateful for their time at the conference to be refreshed and renewed for what God had for them to do in their lives. What an honor to be a part of a church that truly considers others and shares what God has given us to those outside. They love and care for the Ocean View community and I count it as such a privilege to help host these stunning ladies. May we NEVER neglect doing good! Our son Keller is starting a new chapter in his life this year as he is now attending Grade R (called Kindergarten in the USA) and it's been a huge transition for him. When we went to visit the school and had the 'meet the teacher' day, he ended the day crying because he was so overwhelmed and just wanted to stay at his playschool. My heart was broken watching him struggle and we began to tell him over and over again that he was BRAVE. He is BRAVE. Now Keller has started school, and today was a true revelation in my heart that Keller doesn't need to become brave because KELLER ALREADY IS BRAVE. Today Keller went to school just as normal but a friend who teaches in his school sent us a beautiful picture of him as he chose to be brave today and get dressed up as a skeleton which he had never done before. He was smiling with pride and my momma heart soared to know he is choosing bravery in something that was an obsticle before. Every day at school, without the help of his obsessively loving parents, Keller is choosing to be brave and step into new and unknown things. We watch from the sidelines and cheer from the background and couldn't be more proud of him. But as I cheer I can hear God speaking very clearly to me about my own path and the obstacles that are in my way. Just as we have been telling Keller to be brave, God has been telling ME that it's my turn to be brave. It's time for ME to choose bravery. Having a child with special needs is a journey that is hard to even describe to those who haven't walked this path. You live constantly planning, thinking, therapizing, sacrificing and praying for your child and each day is a challenge to tackle. We have walked that road for three years, but now our little miracle is flying into his own world and living bravely all the things we have taught him. It is stunning to watch your child thrive, but can I be honest that it's also strangely painful to see your child fly away. I have walked with Keller every step of his past three years and what he is doing now is beyond my wildest dreams, and when I am honest it also causes a sharp pain in my heart because I am no longer needed. This calling that was put on my life to be a special needs mother, the calling I never asked for and never-ever wanted is now part of my identity. But what happens if it's NOT my identity any more? What I never wanted is now so deeply who I am that I do not know how to separate from it. Part of me doesn't want to separate from it. All of me doesn't know how to separate from it. And so in this confusion and heart pang God is telling ME now to choose bravery. God knows my hurt and searching and has gone before every moment I am feeling. God is telling me to choose to be brave, even when I would rather cry and be overwhelmed like Keller has in previous times. God is telling me to BE BRAVE. May we always choose to be brave. Our days with autism, could be numbered. We are walking a journey with our Keller James that is miraculous and unbeleivable. It is at the same time hard to take in and yet all we have wanted to see for years. It's the days we dreamed of... when we were brave enough to dream. Keller has finished creche (preschool) and in January 2018 he began Grade R (kindergarten). He attends the same school Kieren attends, a normal primary school filled with neuro-typical boys and girls. The school does value inclusion and has a few kids on the spectrum and with other intellectual disabilities, but it looks likely that Keller will not be one of them. For sure, he was nervous about the change to 'big school,' but he is ready, and we, his biggest fans in the world, know that he will thrive. At this point we have been told by multiple therapists that Keller does not have ANY of the symptoms of the autism spectrum and some have recommended that we meet with our diagnosing doctor about taking away his diagnosis. This can happen, where a child would 'lose a diagnosis' because of intervention and an overcoming of symptoms. We see Keller still struggling at times with focus and other tasks, but we agree that truly his defining autism symptoms are no more. I someone wonder, with a huge lump in my throat, HOW DID WE GET HERE? How did we get to a point where our child has no symptoms of autism and absolutely thrives in every part of his life? Was that other child we had just a dream or was that really our life? We know that Keller's autism diagnosis at 22 months was very real and it was very accurate. He met all the criteria for autism and had symptoms that were moderate. Our lives were completely turned upside down by the diagnosis and our family became intervention experts and all personal therapists for Keller. We have walked a three year journey with Keller where every moment was an opportunity to have therapy and help him learn and our efforts have proven fruitful. What has been the most fruitful in this journey with autism has always been PRAYER and the PRESENCE of GOD. We have always known that God was with us and have always seen His hand on Keller’s life. There are changes and advancements that could have only come by a miracle and we never will forget what God has done.